At Isotec we are heavily familiarized with safety, so much so that our automated mantrap security systems are used to protect the people who protect the President, guard America’s Nuclear Arsenal, and keep our country’s information technology infrastructure safe, and secure! Our patented Door Access Control Systems and point of entrance security solutions help provide you with peace of mind by allowing only authorized individuals secure access into your building. In turn cutting down on many of the issues that come with having traditional security doors, such as replacement or management of keys, to having entrances manned by individuals. Thus, making Isotec the best choice when it comes to protecting various types of private and public institutions throughout the country. Our products are constructed with your safety, and well-being in mind. 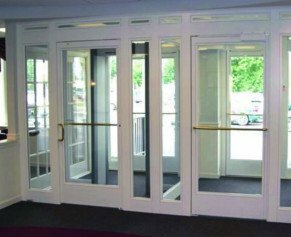 Isotec provides comprehensive design, engineering, and services focused on user-specific, security vestibules, trademarked as Safety Entrances®. As a leading access control systems manufacturer, Isotec’s Safety Entrance® carries the Certificate of Designation by the Department of Homeland Security as a Qualified Anti-terrorism Technology. Isotec’s custom security solutions include bullet resistant doors and ballistic resistant glass panels. 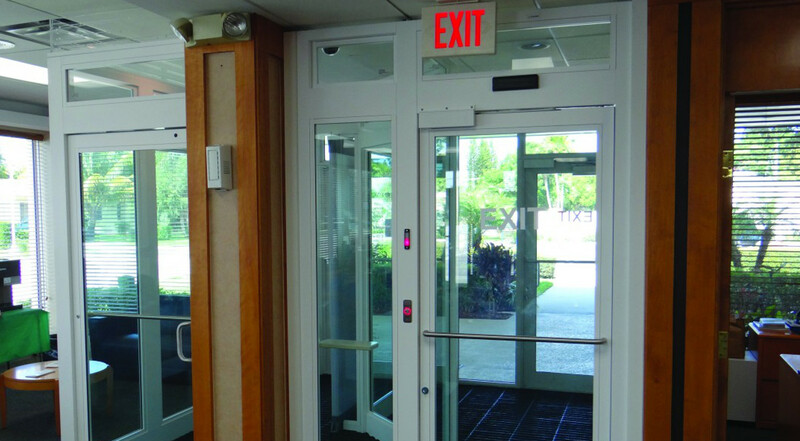 Our mantrap security entrances include access control technologies that use high-grade security glass to provide moderate risk-appropriate security for your Commercial business, School, or Municipal building. 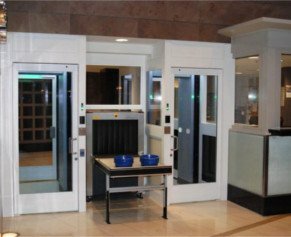 Additionally, our weapons detection and prevention door access control systems keep guns from being brought into a building. 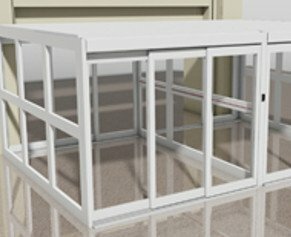 While our interlocking entrance designs offer metal detectors that signal the interlocking doors to open or remain closed. Exit lane breach control is a standard Isotec feature that prevents entrance through designated exit lanes. Airports spend millions of dollars annually manning exit lanes. Isotec’s exit lane breach control systems not only detect but prevent unauthorized entrance into airports. Isotec’s automated door access control systems prevent tailgating or piggybacking from an unsecured area to a secure area. The interlocking doors combined with positive ID requirement and sensors enforce the single person rule for entries and exits. Isotec’s door access control systems are constructed specially to help provide security solutions products and services nationwide for Federal, Municipal and Commercial customers. We provide “Turnkey” services for federal clients and also subcontract to prime contractors, facility managers and security experts protecting our country’s strategic assets, military installations, courthouses, and financial institutions nationwide. Isotec’s engineering and product design teams will work together with you to design a user-friendly, building specific Safety Entrance® for you that is proven safe and effective. Call us today to discuss how a mantrap security door installation can increase your facility’s safety & security for less than $4.00 per hour! I would like to take a moment and compliment Isotec on the quality of your products and the attention to detail that is given to the design and installation of the controlled entrance doorway. Isotec surveyed each location and designed a door way to fit the unique style and nature of the physical characteristics of each branch. We had positive feedback again from the the staff and the customers, once the installation was complete.